You don’t have to travel to Wordsworth’s Lake District to see a ‘Host of Golden Daffodils’ as Sefton Park is awash with carpets of beautiful daffodils. The one million daffodils were planted here in 1991 by the Marie CurieFoundation for Cancer Research, which has the daffodil as its logo. Today many people supporting this charity were enjoying the cold but sunny day as they were on a sponsored walk around the ‘Fields of Hope’ as the planted areas were called. 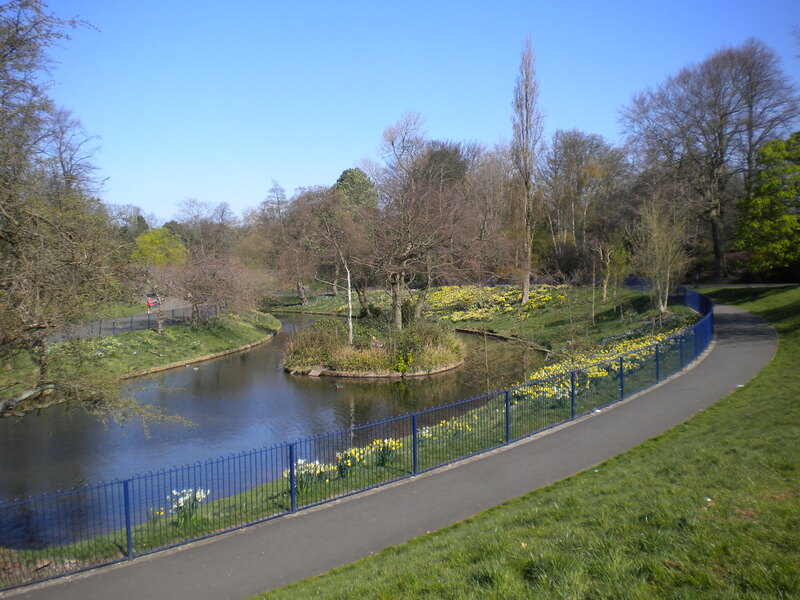 Sefton Park is the largest park in Liverpool opened to the public in 1872 and 2009 saw the retoration project completion of a £5 million project which greatly improved many of the aspects to the park. It is laid out like natural countryside rather than formal gardens, with boulevards, curving drives and an artificial lake. Today the paths were leading to the Palm House. On the way we passed the statue of William Rathbone towering high on a hill overlooking the lake. We were wondering who he was and why was he important enough to be put in such a prominent position. 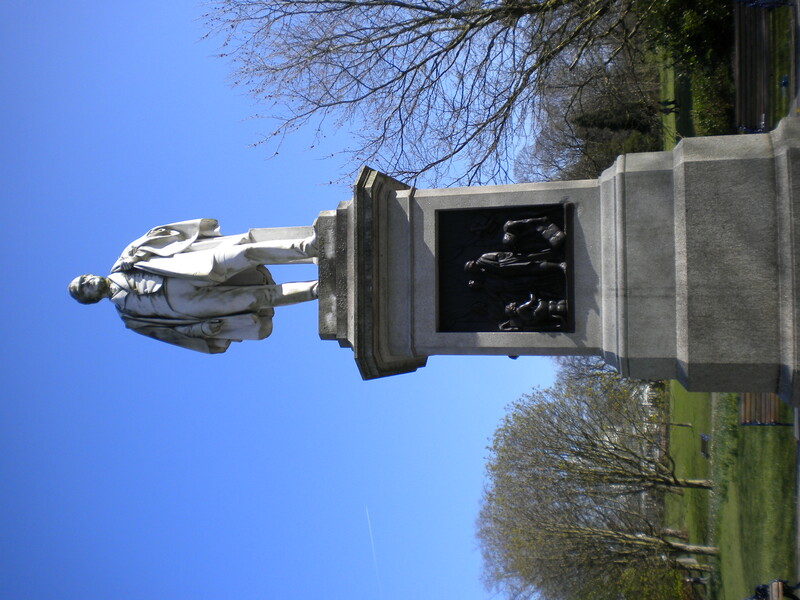 The reseach found that William Rathbone lived from 1787-1868 and was from a distinguished Liverpool family. They made their fortune in sawmills, cotton, ship building and Merchant Banking. The family contributed to many public projects in Liverpool and we thank him for the public baths and wash houses. He also formed corporations schools and organised famine relief for Ireland during the potato famine of 1846-47. And then up the hill to the Palm House. This magnificent building shining in the sunshine was built in 1896 and restoration was completed in 2001 at a cost of £2.5 million pounds. In the last few years this venue has been fully booked for weddings and has its own full events guide which can be found on the www.palmhouse.org.uk website. 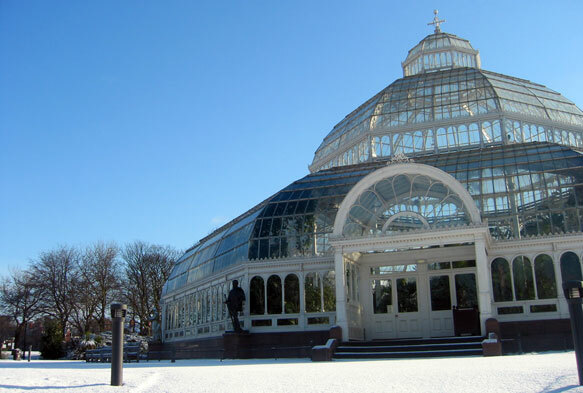 I have actually sang here and will be singing this year with the Liverpool Male Voice Choir to a very varied audience, some of whom came across the event on a Sunday afternoon walk in the park. The legendry statue of Peter Pan looked down on the colourful gardens. If you want a beautiful tranquil setting or a concert, tea dance or sing-a-long check out the website. Sefton Park has so much more than I have wrote here, the fountains, the band stand, the childrens playground and the caves. I think we are so lucky that we have such a magnificent facility on our door step and is used by so many for leisure and sport. If you haven’t been there for a while, take a look at the changes for yourself.